Pickelball was brought to the Robert D. Fowler YMCA by Joe and Peggy O’Toole who were introduced to the sport while visiting relatives in Texas. 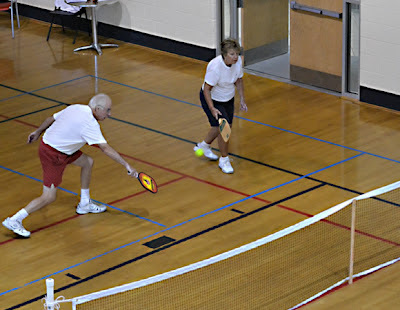 The couple are avid tennis players and soon discovered that when unable to play tennis because of weather conditions they could always play Pickleball. Since the Y started the sport in January many people have expressed an interest and have joined in the fun. The beauty of this game is that it is easy for beginners to learn, but can develop into a fast-paced, competitive game for experienced players and it is great for all ages!